Egyptian security forces shut down the Cairo headquarters of the Muslim Brotherhood’s newspaper, the group’s website said on Wednesday, a day after a court banned the movement of deposed president Mohammed Morsi and ordered its assets seized. Egyptian security forces have shut down the headquarters of the Muslim Brotherhood newspaper in Cairo after raiding it and confiscating material, the Islamist movement’s website reported on Wednesday. Tuesday’s raid on Al-Hurriya Wal Adala’s offices came a day after a Cairo court banned the Brotherhood and ordered its assets seized, delivering a vital blow to the movement of deposed president Mohamed Morsi. The moves by Egypt’s army-backed authorities are part of a sustained campaign against the Islamist movement since Morsi was ousted by the army on July 3 after mass street protests against his year-long rule. “The forces of the military coup in Egypt closed the headquarters of Al-Hurriya Wal Adala newspaper which is the mouthpiece of the party,” said Ikhwanonline, the Brotherhood website. The newspaper’s journalists also condemned the raid in a separate statement on the same website. “We, the journalists of Al-Hurriya Wal Adala, condemn the closure of the newspaper’s headquarters by security forces of the coup who took all documents, equipment and other materials” from the premises, the statement said. The journalists said that since July 3 “we have been working under pressure and intimidation from the security forces and thugs”. The website said that “there was no warning, no legal decision against our journal,” adding that since June 28 no journalists had been working in the actual headquarters. More than 100 policemen have also been killed in clashes with Morsi’s supporters since his overthrow. Meanwhile, the Brotherhood has until October 2 to file an appeal against Monday’s court decision, failing which the authorities are expected to proceed with implementing its rulings. OCCUPIED JERUSALEM, (PIC)– A Palestinian activist specialized in affairs of the occupied city of Jerusalem said the settlement activities in the city have significantly escalated since the resumption of Israeli-Palestinian negotiations about two months ago under U.S. auspices. The activist Rasim Obeidat pointed that the settlement activity in occupied Jerusalem has been escalated, adding that the occupation approved the construction of thousands of settlement units in addition to the increased number of settlement projects that are approved by the Israeli authorities. This week, an Egyptian court issued a hasty decision, banning the Muslim Brotherhood, the largest Islamic movement in the Arab world. The decision, utterly devoid of any modicum of legality or justice, immensely pleased the enemies of Islam in the Arab world, including Communists, Christian Copts, anti-Islam secularists as well as the decadent Sheikhs and emirs in Arabia and the Gulf, who are displaying spasmodic allergy to any true Islamic authority that would hold them accountable for their scandalous debauchery, treason and manifestly promiscuous behavior. The Egyptian justice system, we all know, doesn’t have the dignity of a toilet paper. It remained utterly silent for decades of oppression and tyranny during the reigns of Nasser, Sadat and Mubarak. During this dark era, thousands of political opponents were imprisoned or summarily executed, such as Sayyed Qutb, one of the greatest Islamic intellectuals in the 20th century. A witch hunt was also launched against anyone and everyone who dared show a gesture of dissatisfaction with the Pharaoh, the mini- god. The conspicuous absence of any semblance of justice, or even civility, during all these years was made possible, thanks to a pornographically dishonest media which lied as often as it breathed the oxygen of life. It was also due to this tyranny that Egypt remained a shockingly primitive country, even unable to feed its own people. The ignorant military, which held all the reins, took all the decisions and controlled all the money simply killed the spirit of innovation, production and creativity in the average Egyptian citizen. Those dignified Egyptians who couldn’t take anymore, simply left the country to seek a new life in North America or Australia or elsewhere. As a journalist with nearly 40 years of experience, I can attest that I am yet to find a single example of any other media in the world that would be even remotely comparable to the Egyptian media with regard to its wanton disregard of truth. Indicting examples are counted not in the hundreds or thousands, but rather in the hundreds of thousands or millions. When the Egyptian media reports a lie-free story, it is usually an exception, not the standard. Unfortunately, the same thing, more or less, applies to the Egyptian justice system. Many Egyptians normally pride themselves on the purported transparency and fairness of their courts. But this is very much like a sleazy whore giving a lecture celebrating her chastity and morality. I know the analogy may look stark and audacious. But the almost total bankruptcy of the Egyptian justice system makes any analogy quite reasonable. Ask Tahani Gabali about the Egyptian Judicial system and she will tell you it is the best in the world. In an interview with the New York Times in 2012, Judge Tahani Gabali, deputy president of the Supreme Constitutional Court , admitted she had assisted the Egyptian armed forces – the executive branch – in drafting constitutional provisions that would guarantee the military’s ability to intervene in domestic politics. She also advised the ruling military council to indefinitely postpone parliamentary elections. “I knew the elections would bring an [Islamist] majority,” she said by way of explanation. Eventually, the courts, which had less dignity than a house of ill-repute, annulled the democratically-elected parliament, citing procedural and technical errors. Of course, the real reason was the fierce opposition of many of the judges to true democracy, especially if and when the ballot boxes bring the Islamists to power. Then the same “justice” system annulled the Shura council and then the constitution itself, passed by a two-third majority. Ultimately, the episode of election-annulment ended up with the bloody military coup against the only democratically-elected president Egypt had ever had in 7000 years. We all know the rest of the story. I am not a member of the Muslim Brotherhood. I have never been and I probably will never be a member of the group. However, I find the decision to ban one of the greatest Islamic movements in history as reflecting the moral crisis facing the enemies of Islam in Egypt. Indeed, had these corrupt, Pharaonic-minded people had any semblance of rectitude and credibility, they would have sought to beat the MB at the free market of ideas. 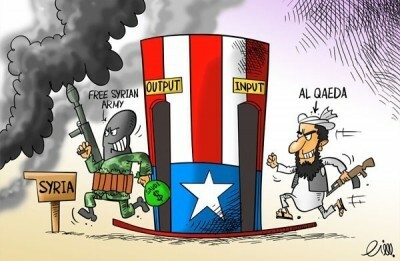 Indeed these bankrupt elements would arguably have a fair chance to beat the Islamists, if only by besmirching their image, given the immense propaganda machine at the anti-Islamist camp’s disposal. But these stupid idiots were never sure they would win in a public showdown of ideas with the Islamists. The decision to ban the Ikhwan in Egypt will only be relevant as long the current fascist junta, headed by Abdul Fattah Sisi, remains in power, thanks mainly to Saudi Petrodollars and behind-the-scene support from Israel and the American Jewish lobby. Otherwise, the decision will not have the slightest effect on Islamists as practicing Islam doesn’t need approval from any earthly body. Gamal Abdul Nasser tried it and failed. Anwar el-Sadat tried and failed. And Husni Mubarak tried it and failed. And this sleazy, thoughtless ignoramus, Sisis, will also fail. Eventually, he will find himself in the dust bin of history. Who ever thought that Abu Lahab and Abu Jahl wouldn’t have late-time fans in Egypt and even in Arabia itself? 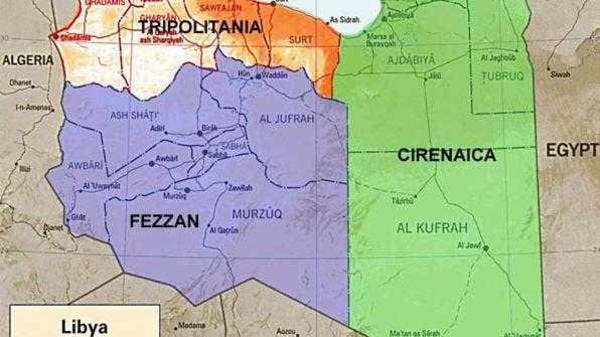 The region of Fezzan announced autonomy from the central government of Tripoli. Libya’s south western region of Fezzan declared itself on Thursday an autonomous province, Al Arabiya correspondent reported. We write this letter with concern following reports that the Kingdom of Saudi Arabia is using the global security company G4S to manage the annual Hajj crowds. This letter intends to draw your attention to some of G4S’s activities, which we hope will make you reconsider working with them. Primarily, G4S has for many years been profiting from the Israeli occupation of Palestinian land. G4S provides a number of services to Israel including managing military checkpoints and the detention and imprisonment of Palestinians. Checkpoints are a daily misery for Palestinians, and these are intended to oppress them, denying them free movement including access to schools, hospitals and places of worships. It also helps provide Israel with complete power and control over the population. By providing such services, G4S is directly complicit in the oppression and subjugation of the Palestinian people and has been the target of global boycott campaigns as a result. G4S claims it intends to end these contracts in the West Bank however, as confirmed by the UN Rapporteur for Human Rights in the OPT Richard Falk, G4S will remain complicit in the oppression of Palestinians for its role in running Israeli jails where Palestinians are held, some without charge or trial; while others face torture. In effect G4S is the instrument through which Israel routinely breaks international laws and Conventions where Palestinian detainees are concerned. One especially disturbing aspect of the Israeli prison system managed by G4S is the high numbers of Palestinian child prisoners held in adult prisons. These facts cannot be ignored and by continuing with this contract with G4S, Saudi Arabia will be sending a message that it is indifference to the plight of the Palestinians. It would also mean that international calls being made to boycott G4S are being ignored by Saudi and thus raise questions about the seriousness with which Saudi views the Israeli occupation of the Holy Al-Aqsa and Palestine. Across the world, G4S has been the target of boycott campaigns for its role in sustaining the Israeli occupation and a number of entities have taken the principled action of ended their contracts with G4S, including the European Union and the University of Oslo, among others. We hope that you will heed the call being made in this letter, and take the case up within the Kingdom of Saudi Arabia with the appropriate authorities. For those who are guardians of the Haram al-Sharif in Makkah and Masjid An-Nabawi in Medina; I’m sure you will agree that granting G4S a contract to manage one of the most spiritual journeys that Muslims undertake is unacceptable. We therefore call for Saudi Arabia to immediately end its contracts with G4S and send a strong message that it will not work with companies directly complicit in the occupation. Palestinian President Mahmoud Abbas addresses the 68th United Nations General Assembly at U.N. headquarters in New York, Sept. 26, 2013. Palestinian President Mahmoud Abbas said on Thursday that the U.S.-brokered peace talks offered the “last chance,” calling for a permanent peace treaty with Israel that resolves all the disputes. Addressing the U.N. General Assembly for the first time, Abbas urged continuous international pressure on Israel to stop building settlements on Palestinian land. “Time is running out, and the window of peace is narrowing and the opportunities are diminishing,” Abbas said. Abbas was loudly applauded when he opened his speech by saying he was honored to address the General Assembly for the first time since it raised Palestine’s status to a non-member observer state last year “in the name of the state of Palestine.” Before and after his speech, he was accorded the same honors as other world leaders. 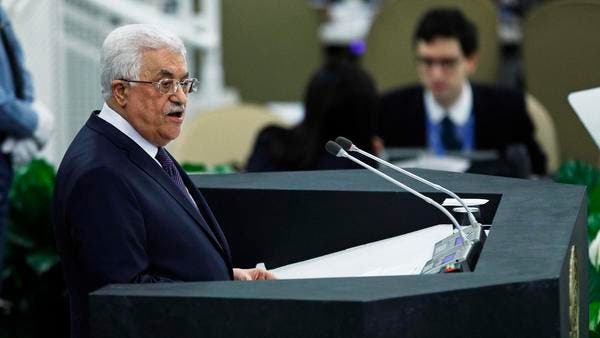 U.N. spokesman Martin Nesirky said the U.N. legal affairs office had looked into whether Abbas would be allowed to use the head of state’s chair near the podium of the General Assembly hall and decided that as a non-member observer state, he was. Nesirky said the legal precedent was that the Pope had been allowed to use the chair when he addressed the General Assembly as head of the Holy See, which is also a non-member state, Associated Press reported. Abbas said the start of negotiations is “good news,” but he stressed that the international community must “exert every effort to make them succeed” by pressing for adherence to the terms of reference and a permanent peace deal and condemning and stopping any actions on the ground that would undermine negotiations. “I refer here, above all, to the continuation of settlement construction on our Palestinian land, particularly in Jerusalem,” he said. Abbas said he is confident the Israeli people want peace and that a majority supports a two-state solution, according to Associated Press. “Therefore, what is required is to heed the lesson of history, to abandon the mentality of force and occupation, to recognize the rights of others, and to deal on an equal footing and parity to make peace,” he said. “What is required is to stop relying on exaggerated security pretexts and obsessions in order to consecrate occupation, and to stop contriving demands that push the conflict from its defined political terrain towards the abyss of religious conflict in a region burdened with such sensitivities – a matter that we categorically refuse,” he said. Abbas ended his speech saying his own dream is to see “a just peace” so this generation can pass on to their children and grandchildren “the flag of an independent state of Palestine” and urging the international community to intensify efforts to make this happen. Ministers and diplomats in the assembly chamber responded with one of the most sustained rounds of applause for any speaker so far. Thirteen Palestinian female prisoners are still held in Hasharon Israeli prison suffering very difficult detention conditions amid the deafening silence of human rights institutions and international community. Lena Jarboni, 34, from Buttof village inside the Green Line, was arrested since 2004 and sentenced to 17 years on charges of helping resistance elements. She spent 11 years behind Israeli bars where she suffers from swelling in her feet and severe and endless headache. Lina has undergone a surgery. The IOA refused to release her in Wafa al-Ahrar prisoners exchange deal. Inam Hasanat, 30, from Bethlehem, was arrested in 2012 and sentenced to two years imprisonment with a fine of 1,000 shekels for attempting to stab an Israeli settler at a military checkpoint. Nawal Saadi, 56, from Jenin, a mother of five children, was arrested from her house in 2012 without being sentenced till this moment. Nawal is charged with smuggling money to a“terrorist group”. She suffers high blood pressure and constant fatigue amid a deliberate medical negligence to her health condition. Mona Ka’adan, 42, from Jenin, was arrested several times by Israeli forces most recently was on November 2012 from her home on charges of smuggling funds to organize a “hostile group”. Her mother died while she is in custody. Her fiancé is also detained in Israeli jails and sentenced to life. The Jerusalemite prisoner Intisar Sayyad, 38, was arrested on November 2012 and sentenced to 30 months on charges of attempting to kill a settler. She is a mother of four children. The university student Alaa Abu Zaytun, 22, from Nablus district, was arrested on her way to college on September 2013 at an Israeli military checkpoint. She was sentenced, after weeks of investigation, to two years’ imprisonment. Nahil Abu Aisha, 23, from al-Khalil, was arrested near the Ibrahimi mosque on March 2013 under the charge of trying to stab an Israeli soldier. Inam Kanmbo, 44, from the city of Jerusalem, was arrested while participating in a march denouncing the death in an Israeli occupation jail of prisoner Maysara Abu Hamdiya in due to medical negligence. Tahrir Algueni, 27, from Nablus district, was arrested on May 2013 with her brother Saddam Algueni. Donya Wakid, 27-year-old from the city of Tulkarem, was arrested from her home in May 2013. Her family did not receive any information about her since her arrest. She suffers from diabetes and high blood pressure. Linan Abu Ghalam, 32, from Nablus, was arrested during a visit to the Palestinian territories occupied in 1948 on August 2013 with two other Palestinian women, Lina Jawabra, who was released after one month in detention, and Maysar Atyani. Linan was sentenced to two years’ imprisonment. The activist in prisoners’ issue Maysar Atyani, 49, from Nablus, was arrested in the Palestinian territories occupied in 1948 where she was sentenced to three months. Ayat Mahfouz, 20, from al-Khalil, was arrested in August 2013 near the Ibrahimi Mosque, on charges of possession of a knife. Her detention was few months after her release where she spent two months in Israeli jails. Hasharon Israeli prison was built during the British Mandate years, and is known for its poor ventilation, clamminess and insect infestations. Besides housing the Palestinian female prisoners, the complex contains also juvenile Israeli female prisoners. File photo of Israeli soldiers near Qalqiliya. NABLUS (Ma’an) — Israeli authorities on Wednesday extended the detention period of Nidal Amar, accused of killing an Israeli soldier in Qalqiliya last Friday. A lawyer from the Palestinian Prisoners Society told Ma’an that Israel’s Jalama military court extended Amar’s detention for a further 15 days to continue the interrogation process. The detention period of two people accused of helping Amar was extended by 14 days. Sergeant Tomer Hazan, 20, was killed by Nidal Amar, 42, a resident of Beit Amin in Qalqiliya last Friday, Israel’s army said. Amar allegedly lured Hazan to the village of Beit Amin before killing him and throwing his body down a well. He told interrogators that he had killed the Israeli soldier in order to use the body as a bargaining chip to free his brother, who has been jailed in Israel since 2003. Disruptions in Israeli water supplies often earns bold headlines in the Israeli media. But when Palestinian communities are cut off from the water supply for days or weeks on end, it doesn’t make the news. And while the Israeli government often supplies Israeli settlements with an infrastructure that guarantees water access, Palestinians must store their water in large containers, due to frequent shortages. This is the story of Al-Ma’asara, a village near Bethlehem that sees its water supply cut off sporadically for extended periods of time, and the inability of the Palestinian Authority to do anything about it.